My C.Sharps 1874 Hartford, I ordered a few months ago arrived today. It's in 45-70 with a 34-inch heavy barrel. The craftsmanship is excellent. Great looking rifle. How does it shoot? Good move to get the heavy barrel, the buttplate can be a bruiser. Nice rifle as well as the accruements. Brent wroteCOLON Great looking rifle. How does it shoot? Haven't had the opportunity to shoot it yet. I will later this week. Premod70 wroteCOLON Good move to get the heavy barrel, the buttplate can be a bruiser. 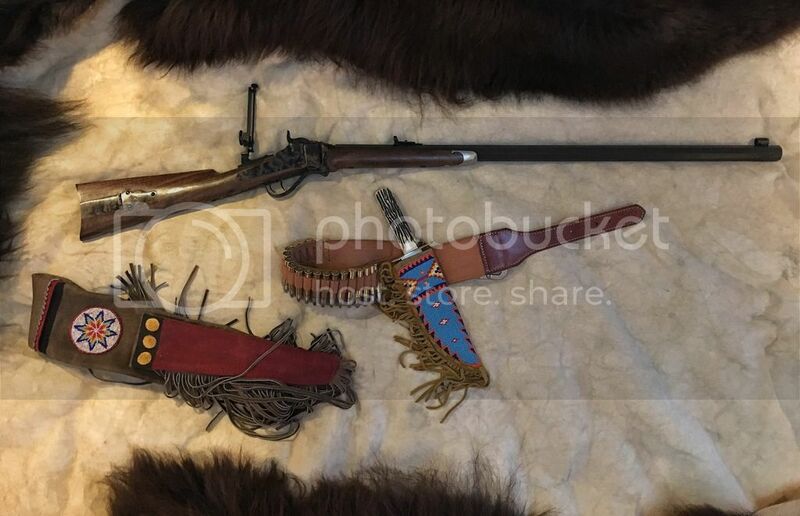 Nice rifle as well as the accruements. Thanks! The knife is a 9 inch bowie by Bear & Son. Very nice! What does it weigh?